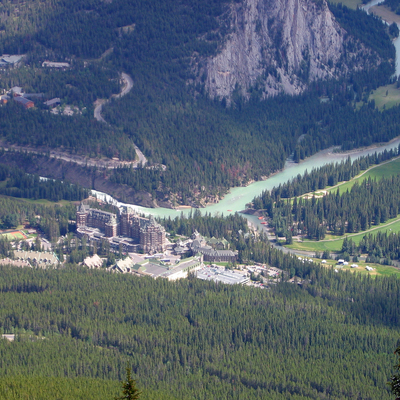 A view of the Bow River and the Banff Springs Hotel from Sulphur Mountain in Banff National Park. Add tags for "A view of the Bow River and the Banff Springs Hotel from Sulphur Mountain in Banff National Park.". Be the first. <http://www.worldcat.org/oclc/841445415> # A view of the Bow River and the Banff Springs Hotel from Sulphur Mountain in Banff National Park. schema:about <http://www.worldcat.org/oclc/841445415> ; # A view of the Bow River and the Banff Springs Hotel from Sulphur Mountain in Banff National Park.